Research tools and email alerts help you find and break the news faster. Learn How Create A Free Account! Are you a business with news? Announce it with News Maker. 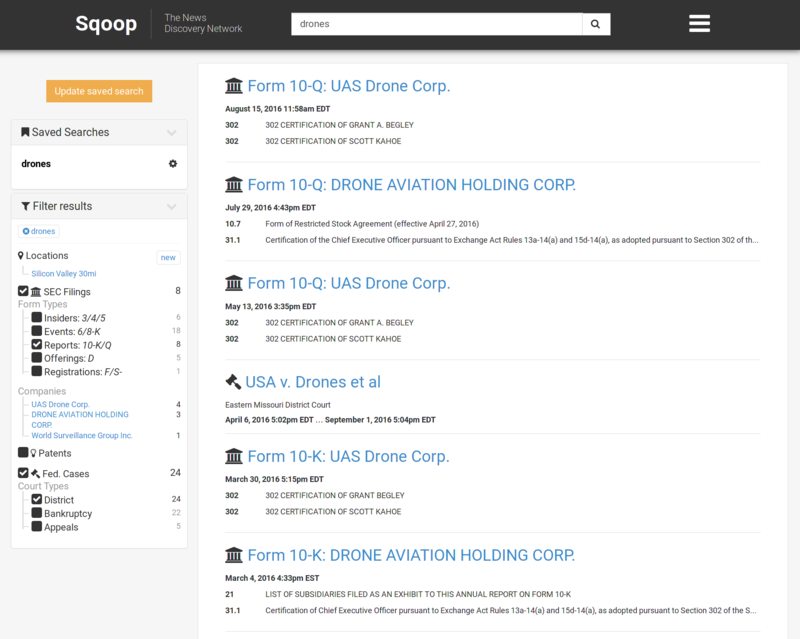 Sqoop saves you time and makes sure you don’t miss the story by giving you one place to search for company information, rather than spending hours each week conducting the same repetitive searches on a variety of public data sites. Use our powerful search interface and filters to find documents and explore industries, companies, and officers. Subscribe to searches to receive email alerts when new matching documents are published. Sqoop is trusted by journalists working in some of the top publications in the world. Sqoop is free for journalists — just create an account and identify for whom you write.